Change people's lives for the better. Protect vulnerable people in very challenging situations. Make the world a fairer place. BA (Hons) Social Work is the essential first step to becoming a qualified Social Worker. When you have graduated, you will be eligible to register as a social worker with the Health and Care Professions Council. Social Workers improve the lives of a huge range of people. You could work with people with learning difficulties, children and families, older people, people who have problems with drug and alcohol misuse, people who experience mental health problems, or disabled people. This course is taught via workshops, small group work, lectures, computer-based learning, presentations and independent learning. Your progress will be assessed with group projects/presentations, written assignments, portfolios of work, and exams at the end of some modules. Throughout the degree you'll have one-to-one support from academic staff. You will learn about the role of a social worker and the legislation which is applicable to social work theory, research, ethics and values. There is a big emphasis on practical learning and approximately half the course consists of work placements. You will develop skills in problem-solving, communication, working with others and patience. You will also learn about law, partnership working, assessment, intervention, mental health and disability issues. A part-time version of this course is also available. It is essential that you have experience (voluntary or paid) in a social care type setting, usually beyond college placements. This could include volunteering at weekends, evenings, or school/college holidays. We also accept personal experience as a carer or involvement with social care or social work. You should clearly describe your experience in the personal statement section of your application. This will be discussed with you at interview. It is important that you can reflect on your experience and relate it to a career in social work. Social work education is regulated by the Health Care Professions Council. We are required to ensure that candidates are 'fit to practice' as qualified social workers. If you are made an offer of a place on the course, we will ask you to make a written statement about incidents and ask for permission to share this anonymised information with our partner placement agencies for a judgement on your 'fitness to practice'. We may need your permission to contact the agencies involved in any incidents that you declare. Any offer of a place on the course will be subject to a satisfactory outcome of this process. However, declaring something does not necessarily mean that you will be prevented from attending the course and we judge each case on its merits. A completed declaration form about any previous criminal convictions, either spent or unspent, and any disciplinary hearing or investigation related to vulnerable adults or safeguarding young people. You will need to pass our Fitness to Practice checks on these declarations. You may also be eligible for an NHS social work bursary. Find out more on the NHS website. BA (Hons) Social Work is a highly practical qualification. After graduation you will be eligible to register as a social worker with the Health and Care Professions Council. Social Work is a very broad discipline. You could work with older people, young offenders, people with mental health issues, foster carers, children at risk of abuse, or any other individuals at risk of harm to themselves or others. Social Workers work in a variety of organisations including local authorities, NHS Trusts, residential care, schools, the voluntary and private sector. 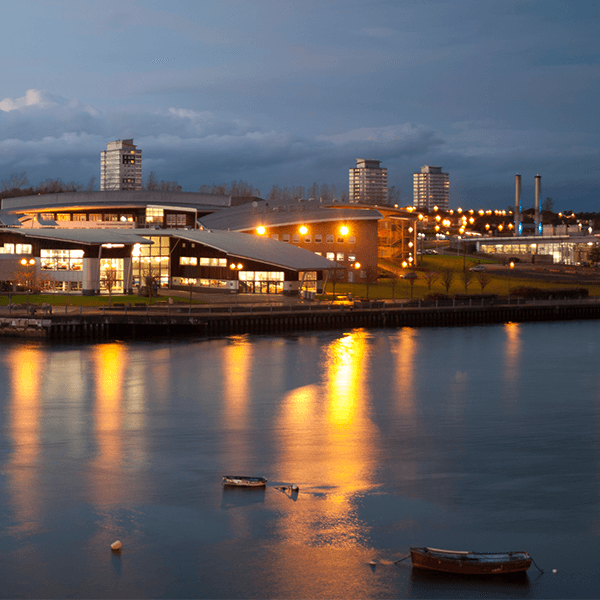 The University of Sunderland’s Centre for Applied Social Studies (CASS) regularly hosts visiting speakers, and it can be an excellent way to learn from the real-life experience of people who already have a strong track record in social work. CASS is the centre for applied social science research at the University, and you may find opportunities to collaborate with the academic team. Placements are an essential part of your degree, accounting for 70 credits in total. Placements allow you to apply your learning in a real-life context, and get a sense of what type of social work you might want to specialise in. When you’re ready to start searching for a job in social work, you will already have a wide network of professional contacts who can help you find the right opportunities. I now believe choosing Sunderland was the best decision I have ever made. What attracted me to Sunderland was its great reputation.